Lake Tahoe is one of the biggest natural tourist attractions in the U.S. But just because the area is big doesn’t mean the travel budget needs to be big as well. From resorts to restaurants, the locals know the best tips and tricks to a thrill-filled vacation in Tahoe without breaking the bank. We asked and gathered their tips below. Weekdays are the best days. Americans use fewer and fewer vacations days every year. Not taking time to decompress from work isn’t good for anyone. Use those vacation days for a weekday trip to Tahoe to take advantage of reduced price lift tickets and resorts stays. Or eat like the locals do and take advantage of off-mountain options. Restaurants have great weekday deals like ½ price dinner entrees every Monday at West Shore Café or discounted signature Wet Woodys every Tuesday night at Gar Woods Grill & Pier. Plus, many lodges offer amazing midweek specials like Squaw Valley Lodge starting at only $169 per night with a $50 gift card to participating businesses in The Village at Squaw Valley. A popular option of winter tourists is staying in premium resorts with ski-in ski-out access. Be adventurous and stay in one of the smaller resorts away from the mountain. Pack up near the lakeshore to take advantage of great deals like the Granlibakken’s Bed, Breakfast, and S’More Package starting at $99 per person. Here’s a bonus for nature lovers, a bright sunrise and sunset against the snowy shore is a sight not to be missed. Cozy up in your resort room for comfort and gorgeous views day and night. Outdoor enthusiast favorite Tahoe Vista is centrally located to many resorts and offers great deals at the luxury Cedar Glen Lodge or discounts on return stays at Mourelatos Lakeshore Resort. Resorts in Tahoe come in all shapes, sizes and prices. Plenty of resorts offer spectacular features at affordable prices. Diamond Peak Ski Resort for example includes gorgeous black diamond runs overlooking the lake and a lift dedicated to beginners, making the mountain perfect for riders of any skill level. The Lodge at Sugar Bowl is another affordable option. The nation’s only snowbound village is a favorite of Walt Disney and it’s no wonder why. With amenities including the lift only steps away from the lodge, the Old-World charm of the interior and more make for a memorable stay. No matter what the activity, there is almost always a deal to find. 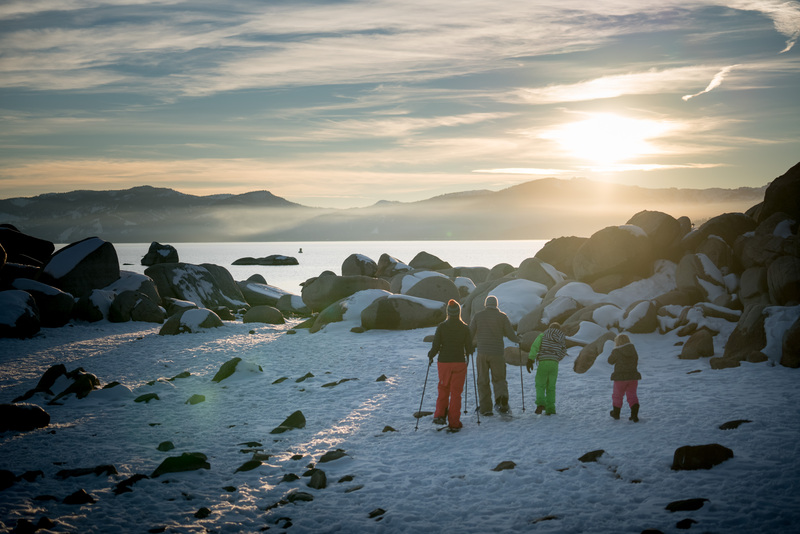 Get a 15% discount on snow-centric adventures like cross country skiing with the Nordic 12-Pack for season long full access to six North Lake Tahoe Nordic Resorts. If you and that special someone have decided to make it official, exchange vows in the winter wonderland of Tahoe. Many resorts like the Hyatt Regency Lake Tahoe Resort & Spa offer wedding and honeymoon deals for a magical day never to forget or break the bank. Check out the ever-changing list of deals at www.GoTahoeNorth.com/Deals. The post Tahoe on a Budget appeared first on Go Tahoe North.